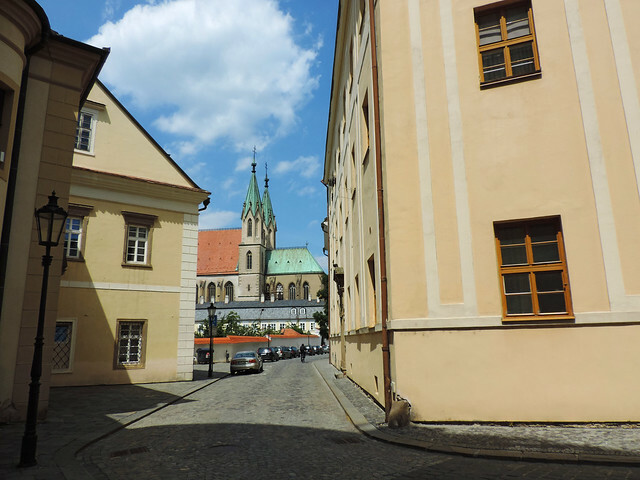 Moravia, the southern region of the Czech Republic was a place we wanted to explore. Why? Because we knew nothing about it. That’s always a good enough reason and in this case, we had another good one: it’s so close to Budapest where we live. 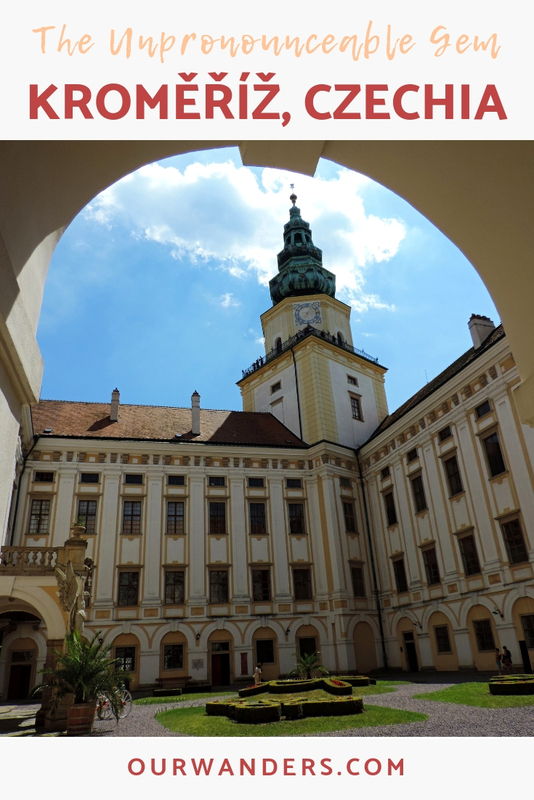 We’ve already told you about the fairy tale castle of Lednice and more about our road trip through Moravia is coming soon. But for this time we have another highlight: Kroměříž. We’ve found a real hidden gem this time! But the highlight of Kroměříž is its chateau. 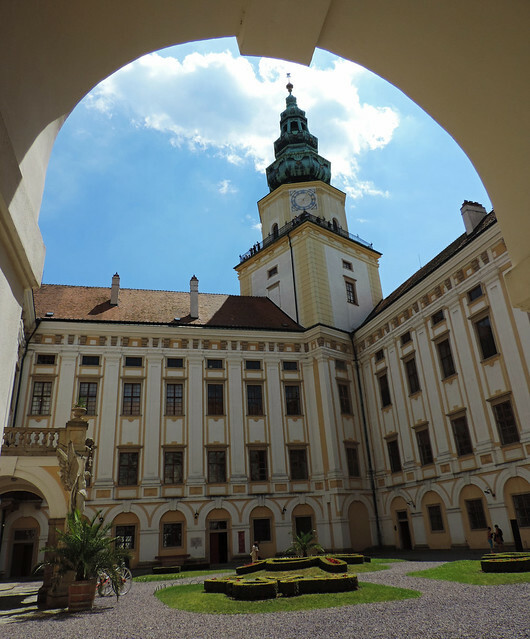 It was the representational residence of Olomouc bishops and archbishops and it’s a castle you need to see from the inside, too. 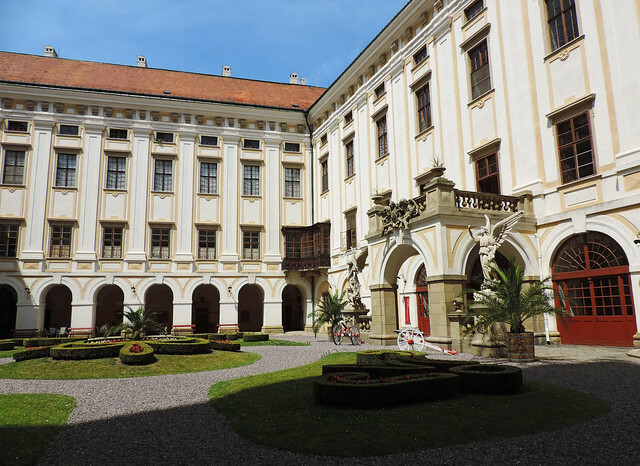 Though the reputable Baroque complex with the courtyard and the large, romantic park doesn’t look bad at all, we were even more impressed by the guided tour of the Representative Halls. Then we climbed more than 200 stairs up to the chateau tower. But the breathtaking views of Kroměříž below were worth it without any doubt. 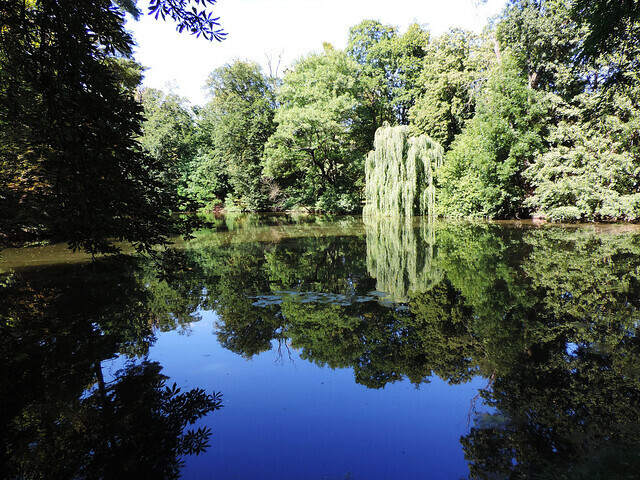 The romantic Chateau Garden with lovely ponds, pavilions and over 200 rare trees from different parts of the world can be visited for free and we wondered whether it’s worth visiting the Flower Garden for a separate ticket. It’s also located a bit further from the castle building. Our curiosity has won. And our reward was quite a unique example of garden art. 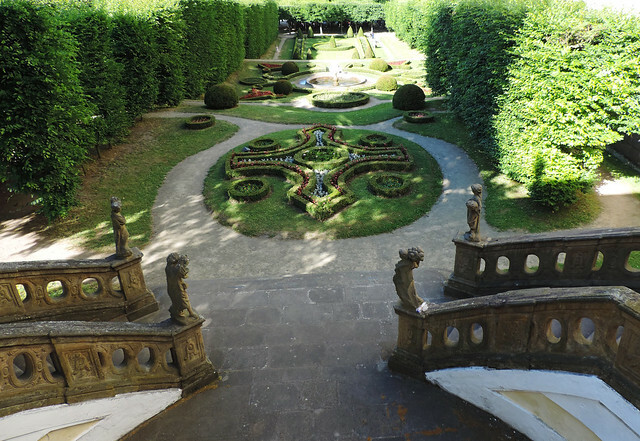 The Flower Garden of Kroměříž is similar to Versailles in style (not in size, haha), it’s a mix of Renaissance and Baroque. And it’s beautiful! The Representative Halls of Kroměříž Chateau can only be visited on a guided tour. Though guided tours are in Czech, we got textbooks in English. Check the official website of the castle for opening hours and prices! Have you ever heard of Kroměříž? Or Lednice? Or Moravia? 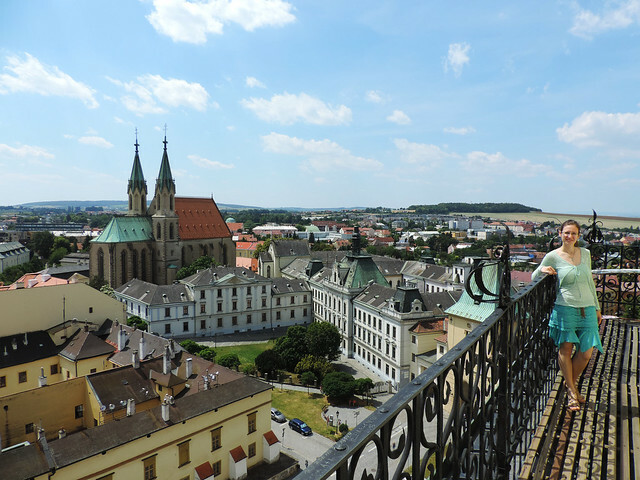 Sightseeing In Brno, Czechia + Giveaway!